Gus: I tried hiding so I wouldn't have to spend four hours in a car with Jaq. Mama found me. I have no idea how! I thought I had a pretty good hiding place. 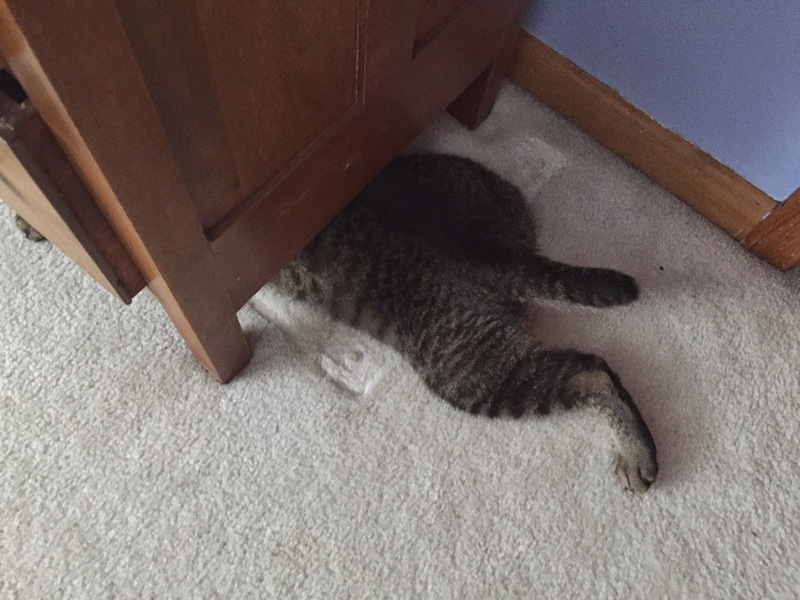 I think that's a really good hiding spot. Sometimes hiding in plain sight is the best approach. how in the WORLD did she ever find you? MOL!! That does look like a good hiding spot. Too bad she found your spot. MOL Looked good to me!